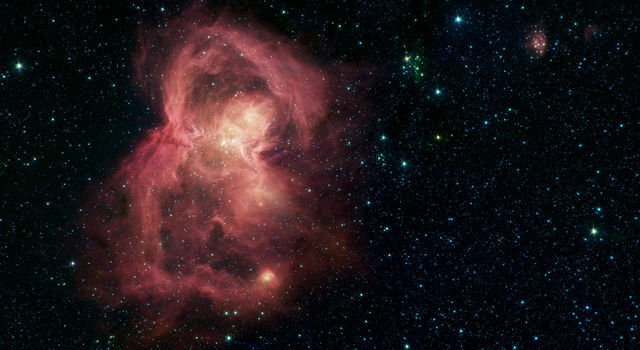 This image from NASA's Spitzer Space Telescope shows the scattered remains of an exploded star named Cassiopeia A. 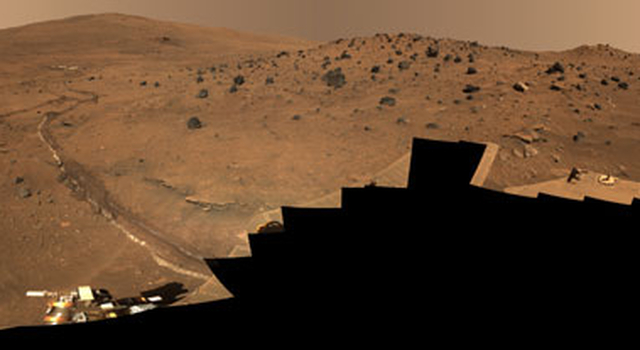 Image credit: NASA/JPL-Caltech/Univ. of Minn.
Astronomers using NASA's infrared Spitzer Space Telescope have discovered that an exploded star, named Cassiopeia A, blew up in a somewhat orderly fashion, retaining much of its original onion-like layering. "Spitzer has essentially found key missing pieces of the Cassiopeia A puzzle," said Jessica Ennis of the University of Minnesota, Minneapolis, lead author of a paper to appear in the Nov. 20 issue of the Astrophysical Journal. "We've found new bits of the 'onion' layers that had not been seen before," said Dr. Lawrence Rudnick, also of the University of Minnesota, and principal investigator of the research. "This tells us that the star's explosion was not chaotic enough to stir its remains into one big pile of mush." Cassiopeia A, or Cas A for short, is what is known as a supernova remnant. The original star, about 15 to 20 times more massive than our sun, died in a cataclysmic "supernova" explosion relatively recently in our own Milky Way galaxy. Like all mature massive stars, the Cas A star was once neat and tidy, consisting of concentric shells made up of various elements. 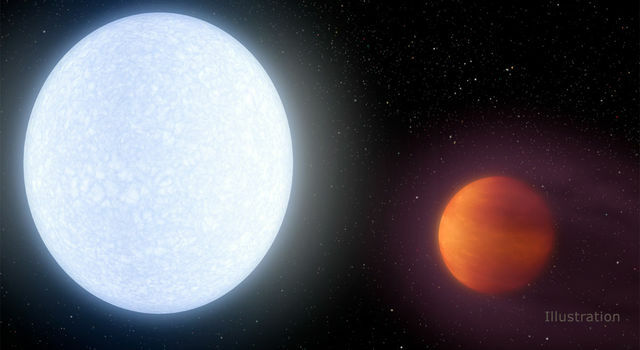 The star's outer skin consisted of lighter elements, such as hydrogen; its middle layers were lined with heavier elements like neon; and its core was stacked with the heaviest elements, such as iron. "Now we can better reconstruct how the star exploded," said Dr. William Reach of NASA's Spitzer Science Center, Pasadena, Calif. "It seems that most of the star's original layers flew outward in successive order, but at different average speeds depending on where they started." How did Spitzer find the missing puzzle pieces? As the star's layers whiz outward, they are ramming, one by one, into a shock wave from the explosion and heating up. Material that hit the shock wave sooner has had more time to heat up to temperatures that radiate X-ray and visible light. Material that is just now hitting the shock wave is cooler and glowing with infrared light. Consequently, previous X-ray and visible-light observations identified hot, deep-layer material that had been flung out quickly, but not the cooler missing chunks that lagged behind. 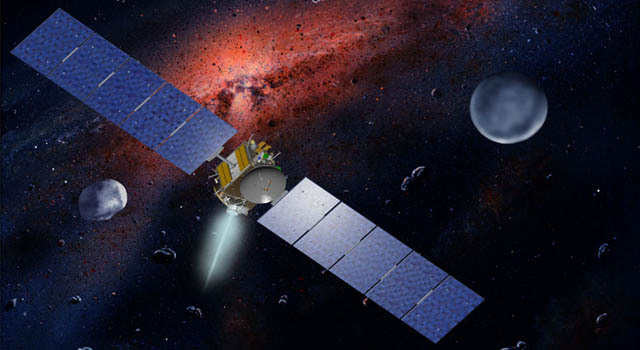 Spitzer's infrared detectors were able to find the missing chunks - gas and dust consisting of the middle-layer elements neon, oxygen and aluminum. Cassiopeia A is the ideal target for studying the anatomy of a supernova explosion. 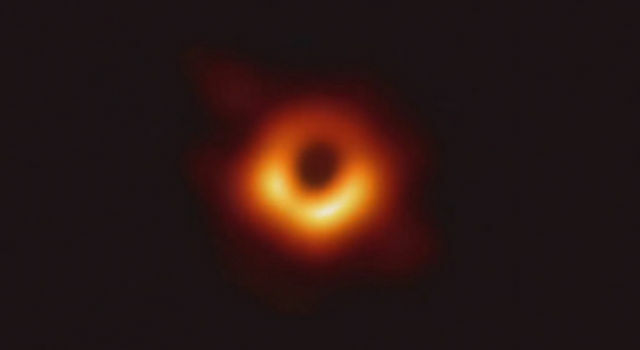 Because it is young and relatively close to our solar system, it is undergoing its final death throes right in front of the watchful eyes of various telescopes. In a few hundred years or so, Cas A's scattered remains will have completely mixed together, forever erasing important clues about how the star lived and died.